Find yourself talking with physicians about acupuncture and the research base for acupuncture as an evidence-based non-pharm therapy for pain relief and recovery? "If you had to present 3 studies to a neurologist showing the efficacy of acupuncture for chronic pain which ones would you use?" In just 16 minutes (perfect to watch during your lunch break! ), Mel chooses several studies to meet 3 useful criteria when talking with a neurologist. 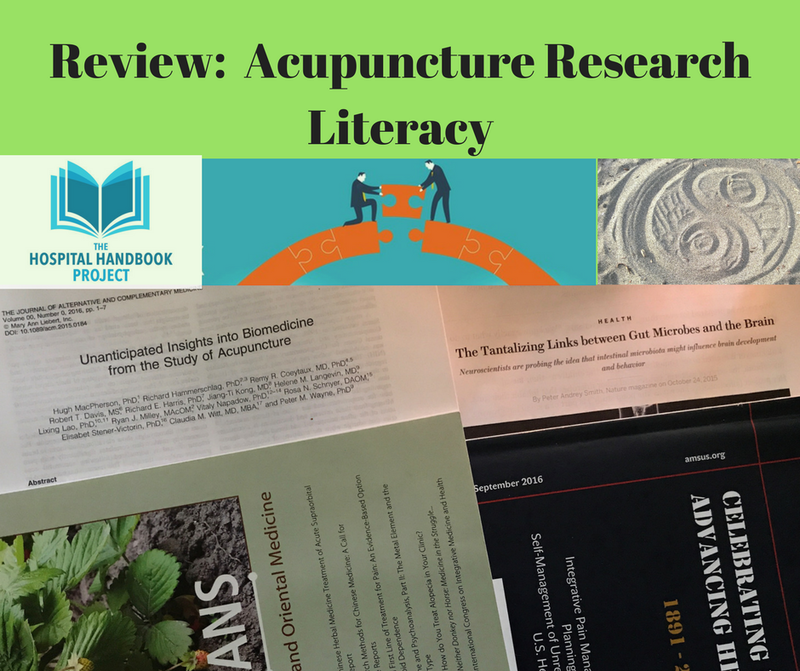 Review your research literacy skills and learn why these 3 categories of research on acupuncture for pain are Mel's favorite when you watch this video. This video is part of the EBA Connect resources. For full access, become an EBA Connect member. The Vickers et al study supports the efficacy of acupuncture for chronic pain and demonstrated that acupuncture treatment is superior to sham or control for each condition. The May 2017 MacPherson review showed that the effects of acupuncture in pain relief persisted several months after the treatment course ended. "Data on longer term follow available for 20 trials, including 6376 patients"
"90% of benefit of acupuncture relative to controls...sustained at 12 months"
The Jackson et al study on the comparative effectiveness of migraine treatments had a large data set for placebo (sugar pill) for migraines. This data set shows that while placebo can be beneficial, it has short term effects. Placebo is not effective long term. The conclusion here is acupuncture, with demonstrated long-term effects, is thus not a "placebo" treatment. verum acupuncture improved nerve conduction and cortical separation distance with sustained improvements still noted at the 3-month follow-up. The Harris et al study focused on mu-opioid receptors (MOR). One of the study conclusions was that verum acupuncture increased MOR-binding. So, this may be what patients who receive acupuncture are able to decrease their need for opioid-based medications for pain relief. You can read and support (through EBA Connect) more of Mel's work at Evidence-Based Acupuncture. Useful 2014 review article by John McDonald, Allan Cripps, and Peter Smith about how acupuncture works from a biomedical perspective, based on recent mechanistic research: "Mediators, Receptors, and Signalling Pathways in the Anti-Inflammatory and Antihyperalgesic Effects of Acupuncture". Learn more about the mu-opioid receptor's role in pain and get CEUs--ReachMD audiovisual presentation on "Comprehensive Pain Management in Palliative Care: Relieving the Burden of Opioid-Induced Constipation"
Vickers, AJ, Cronin A.M., Maschino A.C., Lewith G., MacPherson H, Foster et. al. (2012). Acupuncture for Chronic Pain. Archives of Internal Medicine, 172 (19), 1444. MacPherson, H., Vertosick, E.A., Foster, N.E., Lewith, G, Linde K, Sherman, K.J., et al. (2017). The persistence of the effects of acupuncture after a course of treatment: a meta-analysis of patients with chronic pain. Pain, 158(5), 784-793. Jackson, J.L, Cogbill, E., Santana-Davila, R. and Eldredge, C. (2015). A comparative effectiveness meta-analysis of drugs for the prophylaxis of migraine headache. PLoS ONE. Maeda, Y., Kettner, N., Lee, J., Kim, J., cina, S., Malatesta, C., et al. (2013). Acupuncture Evoked Response in Contralateral Somatosensory Cortex Reflects Peripheral Nerve Pathology of Carpal Tunnel Syndrome. Medical Acupuncture, 25(4), 275-284. Harris, R.E., Zubieta, J.K., Scott, D.J., Napadow, V., Gracely R.H., and Clauw, D.J. (2009). Traditional Chinese Acupuncture and Placebo (Sham) Acupuncture Are Differentiated by Their Effects on 𝞵-Opioid Receptors (MORs). NeuroImage, 47(3), 1077-1085. I have reflected on my work on the Hospital Handbook Project in the past year and would like your input in prioritizing projects for 2018 and 2019! You can provide feedback in this quick survey. Thank you for helping me with your survey feedback! Update: The Survey Results were published in the Spring Equinox email newsletter. Want to sponsor this work or a specific project? There are several Sponsor and support options on the website from buying Megan a cup of coffee while she blogs to operating costs for a day or a week to supporting a specific project or sponsoring a newsletter on the website. If you don't see a specific "sponsor" button for the project you are interested, just send Megan a message via the "contact us" page. Many hospital-practice East Asian Medicine Practitioners (Acupuncturists) are trained in mindfulness, whether it is the practice and teaching of qi gong or a Mindfulness-Based-Stress Reduction (MBSR) instructor certification. Castlight Health had a presentation in December 2017 about on how mindfulness in the workplace is a competitive advantage for employers. You can view a pdf of this presentation by "whil. ", Make Wellbeing Your New Competitive Advantage here. 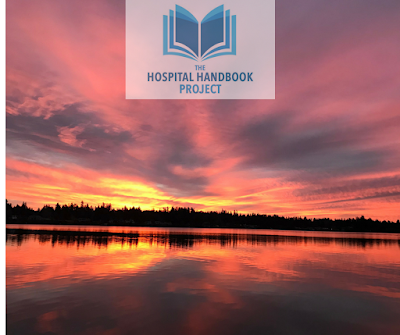 For more information about Jon Kabat-Zinn's Mindfulness-Based Stress Reduction programs for hospitals and teacher-training, there is more info at the University of Massachusetts website. Another useful standardized wellness-program teacher-training for Integrative Medicine practitioners is the Tai Chi Easy™ system developed by Dr. Roger Jahnke, OMD, and offered through the Healer Within Foundation. Check out their page with published research references and links about the health benefits of Tai Chi.